Your computer holds a lot of important data — some of it may be work-related, and undoubtedly, much of it holds great sentimental value. You may have important business documents, financial statements, family photos, videos, and email on your computer. Losing those files and folders, or even your hard drive completely, could be devastating on a number of levels. Fortunately, however, there is a way that you can avoid losing your cherished photos, important work projects, and your kids’ video files, and it’s as simple as using an internet file backup service. Here is a list of five offsite backup services that you can use to safeguard your computer’s important files. It’s not entirely unlimited, but most of them offer a generous 2GB to 10GB free cloud storage capacity and I certainly believe it make the job done! 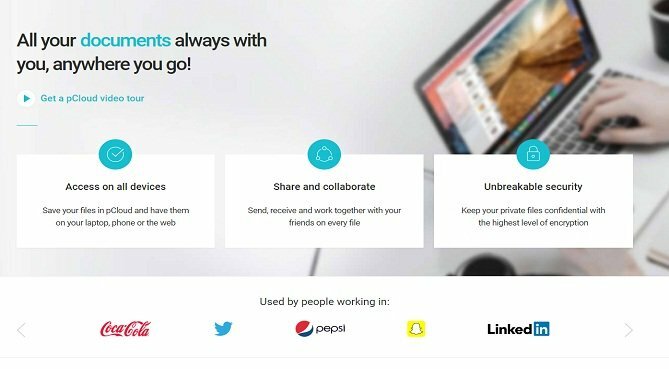 While some of these free cloud storage services do offer paid options, each website offers at least 2GB of free data storage for personal use, which is enough space to store at least some of your most important files. As our motto says “Do not backup everything, backup what’s important”! pCloud is at the top of the list because they provide a substantial amount of remote file storage space: 20GB to be exact and it’s free. To put this number into perspective, that’s enough space to store over 30,000 images from the average 3-megapixel camera and that’s a lot of free spaces to enjoy. Not to mention their top notch encryption (crypto) and privacy protection! The trade-off, however, for pCloud’s remote file backup service is that it lacks a number of features that other file backup services offer. For one is that you do not get to use their desktop file transfer manager, or even FTP (File Transfer Protocol) software to upload your files, for that matter. But still, 20GB is a lot of space to be considered, and if you can deal with the lack of features, it might be a good option for you. To put things up, pCloud offer seamless user experience and a really good security features. Live.com has their online storage solution which is the Onedrive. They are being placed at number 2 in the list of this post because, like pCloud, Onedrive offers a more-than-decent chunk of online file storage space which is 25GB. Almost same with pCloud who offer 20GB, but a whopping additional 5GB extra on top of that. There are some limitations however, such as it appears that the maximum file upload size is 50MB, which should be fine for most users (photos and documents upload), and they offer a browser-based file transfer page rather than software for your computer desktop. Considering all you need is a MSN, Hotmail, or Live.com account (I’m not using any of those though), however, it’s a great deal if you can handle their upload restrictions. To get around some of Onedrive’s upload limitations, you can use SD Explorer. SD Explorer is a Windows computer addon that allows you to add and remove files from your backup storage space much like you would work with folders and files on your own computer, albeit a bit more slower. Much like many of these internets file backup services, SD Explorer has both a free and paid option. One note on this desktop backup software is the paid option purportedly allows you to bypass Onedrive’s 50MB-per-file upload limitation. Dropbox is a simple, but powerful and reliable offsite file synchronization software. Dropbox smart sync which is a paid feature offer great flexibility. Unlike many of the desktop-based file and folder backup tools, Dropbox allows you to sync a single folder and all of the files contained within that folder in real-time. You start with 2GB of online storage for free, but you can double your free account’s storage capacity by referring friends to the service. I’m not a fan of referring so Dropbox place number 3 here. In the near future, Dropbox will allow you to sync multiple folders on your computer, though it’s not clear at this time whether this feature will be offered with their free internet file backup account or only available through paid option. iDrive, like Dropbox, offers customer the same features in their desktop backup solution that is being offered to paid customer. 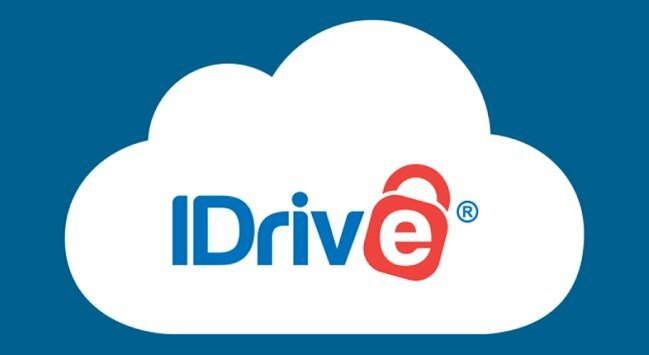 iDrive provides 5GB of free online storage space. iDrive’s desktop client and file backup service offers a nice array of features when compared to other free providers. For instance, they offer free customers a virtual drive, where you can access your iDrive storage area much like a folder on your computer. They also use SSL encryption for both file transfers and storage; allow locked file backups, which can be problematic with other online backup solutions, and their software allows you to do what they call a ‘timeline restore’. This allows you to restore your files up to a certain point in time, which can be quite handy if you have to, for instance, do a system restore on your PC which results in lost files. 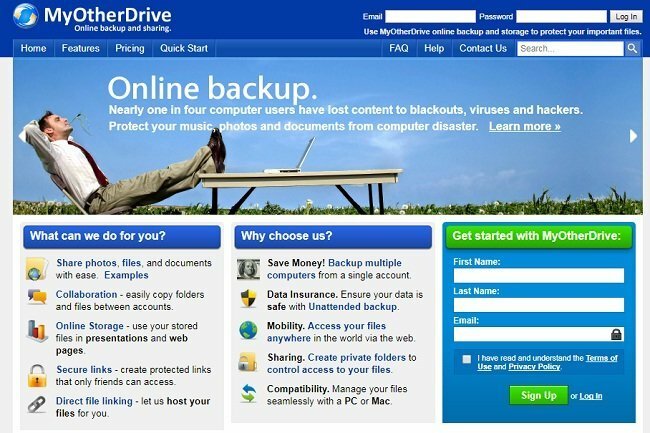 My Other Drive is the last online file backup service on our list. Like a couple of other backup solutions here, My Other Drive also offers 2GB free online storage space, but free accounts are ad supported. While most of My Other Drive’s desktop software features are the same, irrespective of whether you have a free or paid account, there is one defining difference between this file backup service and others which is the ability to mail in your files. Now, this feature doesn’t come into play for free accounts, but if you plan on upgrading your online file backup storage space, and you have a slower internet connection, mailing in your computer’s backups would be a very nice feature to have, and is certainly not a regular feature for most file backup services. Keeping a backup of your most important files is, as you might already know, is very important. Because there are dozens of free internet file backup services available, there is no reason why you can’t have an offsite backup system in place for your files, regardless of your current budget. Take a few minutes; look at the various service providers, and compare. They’re free anyway, so why not used them to your own benefits? If you are still hesitant in using one, try these tips here to have more storage on your own computer. Or free up more space your Android Phone. If you don’t have an online backup solution today. You’ll never know when your working horses are breaking down and it’s never too late to start backing up now to enjoy all the benefits.